I've got a bit of a native plant obsession going on at the moment. Actually, it's been building over the last couple of years, ever since watching Monty Don's around the world in 80 gardens and seeing the beautiful home garden by Chilean architect Juan Grimm, in which he uses native Chilean plants, planted just as they would grow in their natural environment - so it looks as though his house has been airlifted into a lovely, lush, wild and beautiful space. So I've set myself the task of planting out my new back garden space entirely with native plants, to recreate the feel of our local native environment - those parts that are suited to a lawned back garden with a few trees and shrubs - country hedgerows with flower filled verges and the woodland edge. This area of the garden isn't very well developed yet, but nevertheless, this spring, there are all sorts of lovely native plants popping up and delighting me - one flowering now that I've only ever seen in photos before. 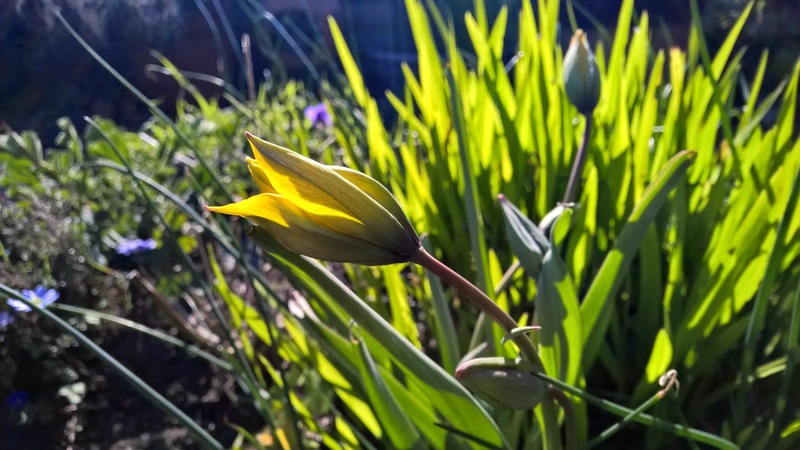 This is a wild tulip, native to the UK. Having seen this flower open now for the first time, I can't believe I've not seen them around more often. I had to source the bulbs online as they aren't stocked in garden centres or in most plant nurseries. The flowers are beautiful right from the elegant flower bud stage. 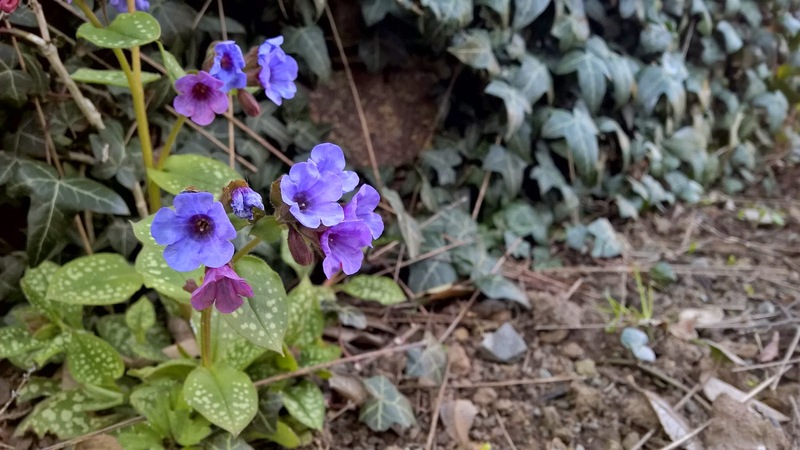 They're perhaps marginally more petite than cultivated tulips and the leaves are narrower. The flowers are flushed with green on the outside of the petals and are a rich spring yellow inside. Wonderful. Elsewhere, I have some more familiar spring faces. 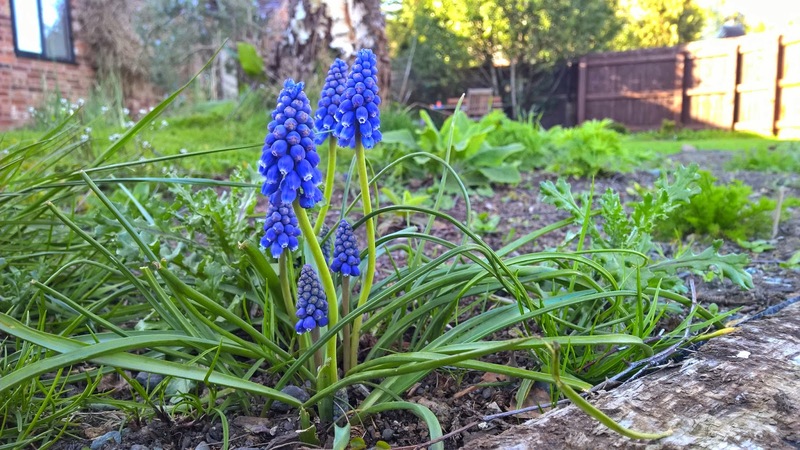 Grape hyacinth pictured below, I have nestled beneath my silver birch tree. Our native wood spurge is another good one for a shady spot. 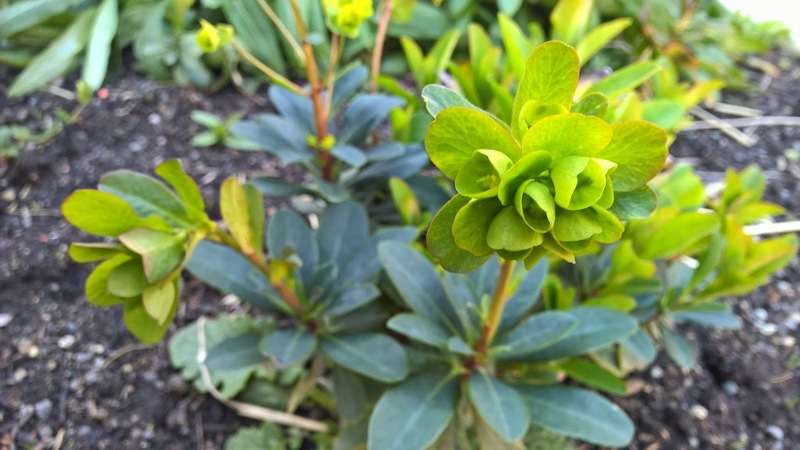 I'm looking forward to getting a decent spread of these - I love the colour combination of bright zesty green with the dark blue-green leaf. 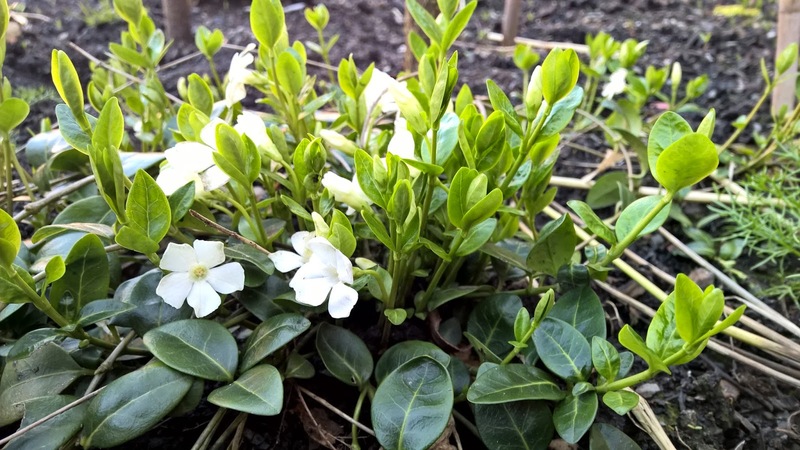 Periwinkle is another shade lover and is great for ground cover. I found this lovely white flowering version in a local nursery and am trying to make more plants by allowing it to layer in to the ground, creating roots where it touches that can eventually be cut away to give me more plants. The stems can be used in basketry and I'm really keen to have a go once I've grown enough to spare a bit. 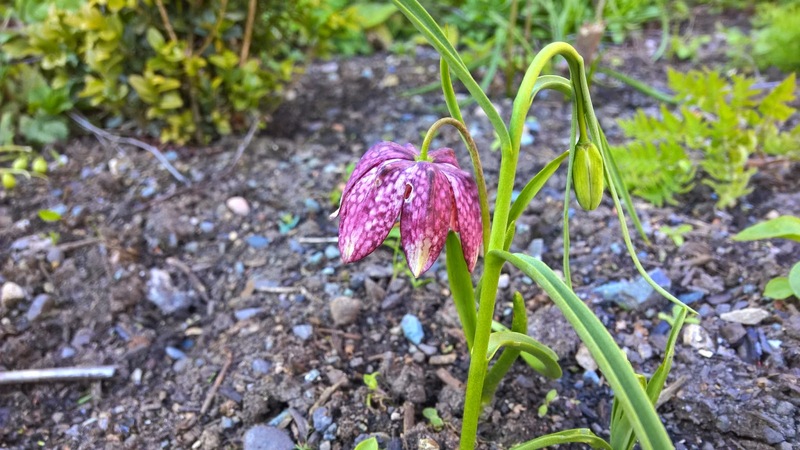 And I've planted loads of my all time favourite flower, the snakeshead fritillary.I just love the chequerboard pattern on the petals and the unusual, slightly boxy shape to those gently nodding heads. It comes in this pink colour and more rarely, it throws up white flowering versions with a white and off white chequerboard pattern. Very striking.